Tonight’s game is one of those that really makes me wish the NHL would switch back to white jerseys at home. The Sabres whites and the Minnesota Red uniforms are two of the best looking jerseys in the league, if only we got to see them this evening. 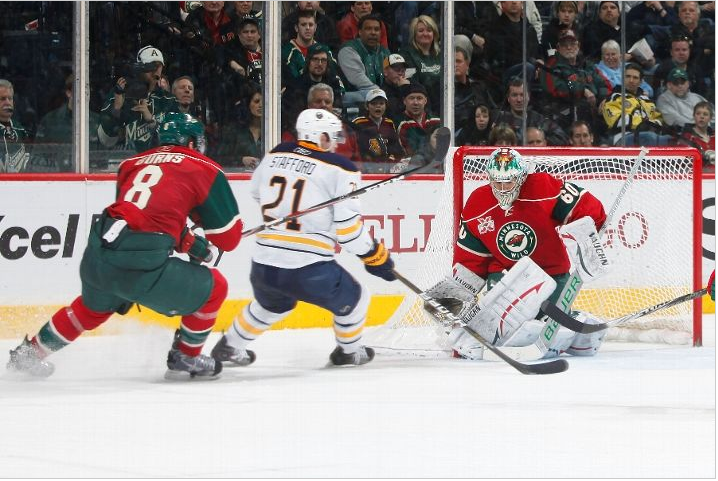 A good consolation is that the Wild have a nice set of white unis as well. The Sabres will need two points once again in order to keep pace with the Capitals in eighth place. The Capitals are idle until they meet this Minnesota team tomorrow. The Senators face Pittsburgh which is an interesting predicament because the Sens have been regressing but the Pens are not a team you would want to see in the first round. This weekend schedule is tough for the Sabres playoff hopes. The Wild needed to travel but had a day off yesterday. They will play tonight against Buffalo with a day of rest against a Sabres team that played and traveled last night. They face Washington the very next day. Ideally you would want that schedule to be reversed. Buffalo will need to play a responsible game against this Wild team. They are a methodical squad that can be dangerous. Dany Heatley has had a pretty solid year and always plays well against the Sabres. Also, Niklas Backstrom is one of those goalies that can absolutely lock a game down. He is also prone to rough outings if you get to him early. 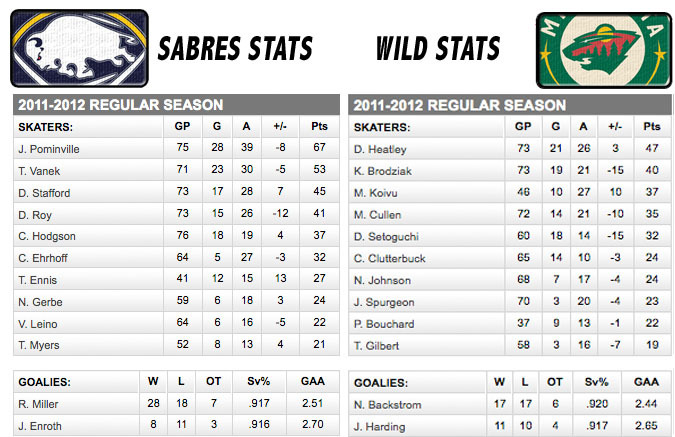 A hot start for the Sabres will be important. The one edge I will give the Sabres is the fact that their three-pronged attack. If Lindy Ruff can leverage a mismatch, there will be a good chance to capitalize. I also think this could be a game to re-insert Mike Weber just for a set of fresh legs. Probably not the course of action I would take – Alex Sulzer has been too good – but I would understand the logic. Lindy Ruff vs. Mike Yeo. Ruff needs to find the right matchups, shut down the few big guns at Yeo’s disposal and find the right lines to roll his scorers out against. His decision on goaltenders and his choice regarding the scratches could be important as well. Yeo’s choice in goalie will likely mean the man sitting tonight will play in Washington. Keep your fingers crossed that the Wild use Backstrom tomorrow.